ST. PETERSBURG, Florida -- Minor League Baseball today announced its list of Top 25 teams in licensed merchandise sales for 2016, with the combined totals of all 160 teams setting a Minor League Baseball record with more than $68.3 million in retail sales. The $68.3 million total marks a 5.06 percent increase over 2015's total of $65.1 million, which had been the highest total recorded since Minor League Baseball's licensing program began in 1992. The numbers are based on total licensed merchandise sales from January 1 - December 31, 2016, and include the 160 teams in the domestic-based leagues that charge admission to their games. The Top 25 list includes (alphabetically, with Major League affiliate): Charlotte Knights (White Sox), Columbia Fireflies (Mets), Columbus Clippers (Indians), Corpus Christi Hooks (Astros), Dayton Dragons (Reds), Durham Bulls (Rays), El Paso Chihuahuas (Padres), Fresno Grizzlies (Astros), Frisco RoughRiders (Rangers), Indianapolis Indians (Pirates), Iowa Cubs, Lake Elsinore Storm (Padres), Lehigh Valley IronPigs (Phillies), Louisville Bats (Reds), Nashville Sounds (Athletics), Oklahoma City Dodgers, Omaha Storm Chasers (Royals), Portland SeaDogs (Red Sox), Richmond Flying Squirrels (Giants), Sacramento River Cats (Giants), Salt Lake Bees (Angels), South Bend Cubs, Tacoma Rainiers (Mariners), Toledo Mud Hens (Tigers) and Trenton Thunder (Yankees). The Columbia Fireflies, Corpus Christi Hooks, Fresno Grizzlies, Iowa Cubs, Omaha Storm Chasers, Portland Sea Dogs and Richmond Flying Squirrels made the list for 2016 after not making the Top 25 in 2015. Twenty different major league organizations were represented by teams on the list, with only the Chicago Cubs, Cincinnati Reds, Houston Astros, San Francisco Giants and San Diego Padres placing two affiliates in the Top 25. The only teams to make the list using the nickname of their major league affiliate were the Iowa Cubs, Oklahoma City Dodgers and the South Bend Cubs. "Minor League Baseball team names and logos continue to be some of the most creative and fun in all of professional sports and are valuable marketing tools for their clubs," said Sandie Hebert, Minor League Baseball's Director of Licensing. "Each year a few teams choose to create new identities and it's always interesting to see the fan reaction and how that translates into merchandise sales." In addition to strong online sales, Minor League Baseball has also expanded its retail line into stores across the country, featuring items from MiLB licensees such as New Era Cap, 47 Brand, Bimm Ridder, Original Retro Brand, Outdoor Cap, Gear for Sports' Under Armour line and Nike. "In addition to buying merchandise at the ballpark or online, you can now find Minor League Baseball products in many popular retail locations around the country," added Hebert. 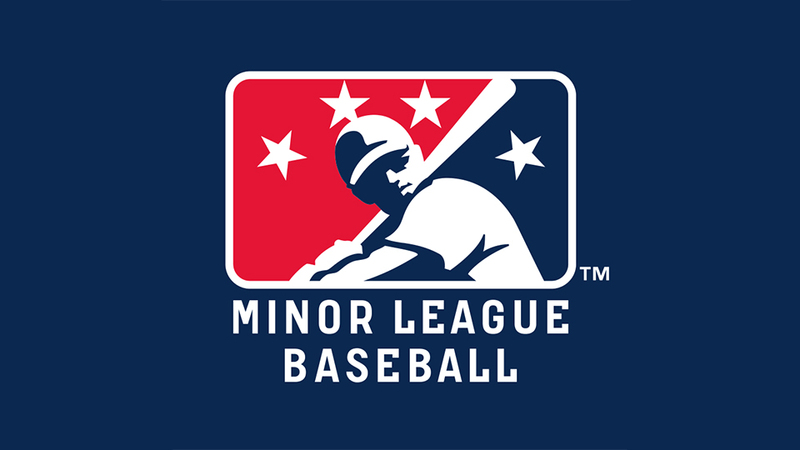 "The ever-increasing popularity of Minor League Baseball has helped create another year of record-breaking sales and further solidifies the Minor League Baseball brand as a fan favorite."